The latest edition of The Laser Sailor is out and it is packed with everything from bios of our new leadership to updates on the new sail and mast. Check your mailbox or you can get to read it by going here. The Winter 2012 edition of The Laser Sailor features a photo from the recent Chesapeake Bay Laser Masters championship regatta. The winter 2011 edition of The Laser Sailor arrived in most mailboxes last week. The class newsletter is filled with news from the district level up to the world level. Want to be sure you get this edition and every other copy of The Laser Sailor this year? Join the Laser Class or renew your membership and you’ll be sent one right away. The spring edition of The Laser Sailor is in the mail. It should be hitting mailboxes shortly if it hasn’t arrived already. Didn’t get a copy of The Laser Sailor – the North American Laser Class Association Newsletter? Then join the Laser Class and you’ll get all of the editions of the Laser Sailor including back edition of the winter copy. The Winter edition of The Laser Sailor is in the mail and should be arriving in home this week if it hasn’t arrived already. Didn’t get a copy? Join the North American Laser Class Association to get their quartely publication and to support District 11. The Spring Edition of the Laser Sailor is in the mail. It should be arriving in-home in the coming weeks. 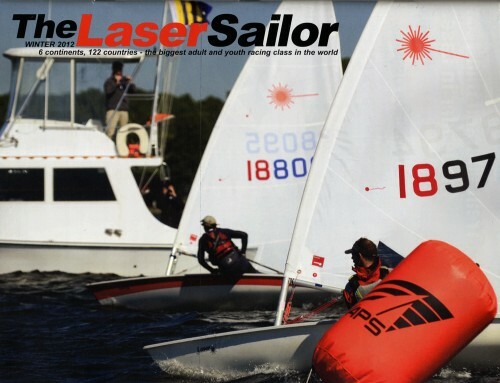 The 2009 Winter Edition of the Laser Sailor is in the mail and should be arriving in-home in the next few days.